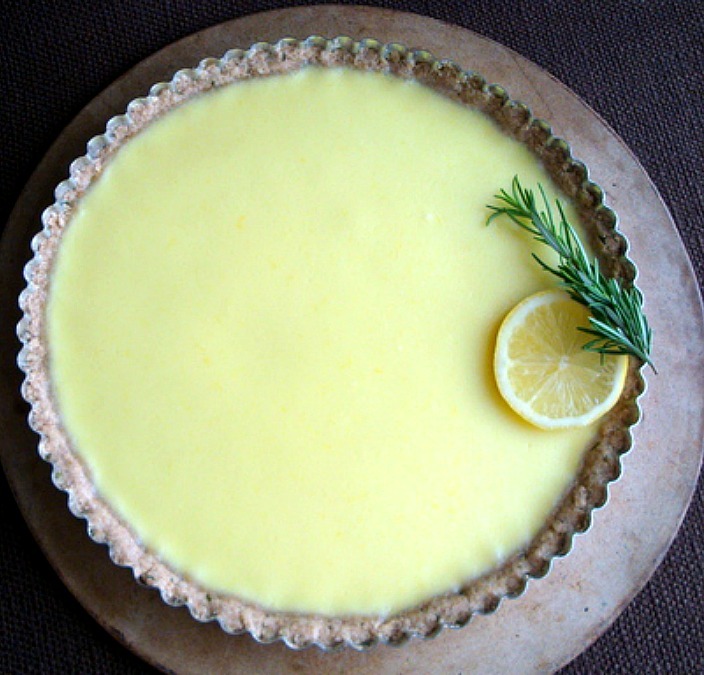 I love this lemon tart with rosemary crust because it is light and creamy. Tangy, but not too sweet. 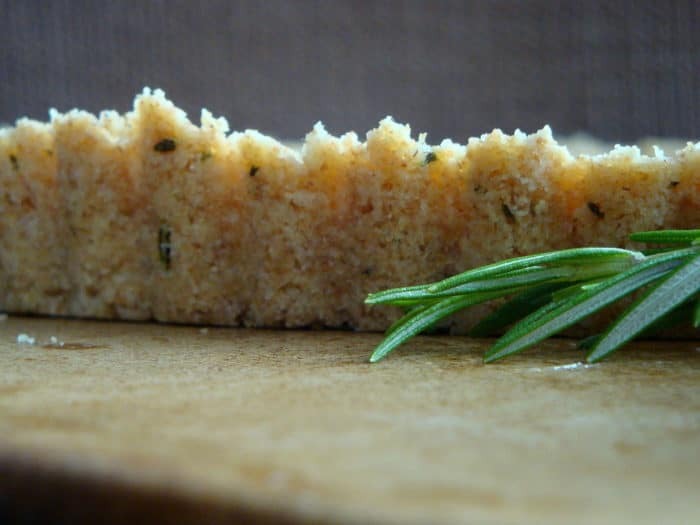 The recipe uses nutty spelt flour and fresh rosemary leaves in the crust. Greek yogurt and fresh lemon juice for the filling. 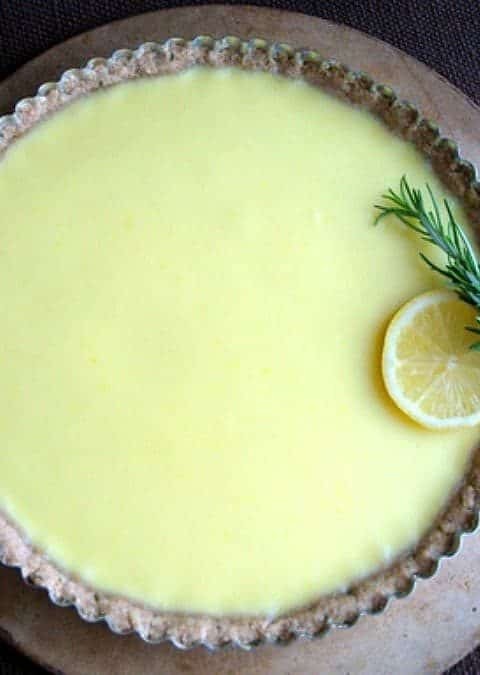 If you’re looking for the perfect lemon dessert for your holiday table, stop right here. Delightful. Simple. 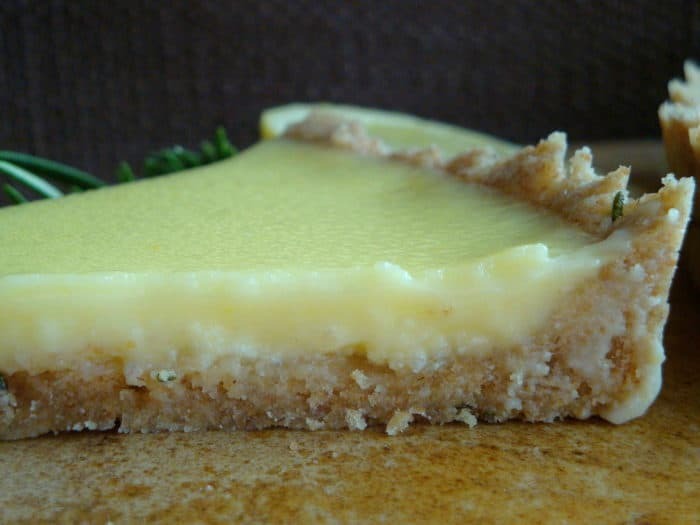 Lemon Tart with Rosemary Crust from fresh and wholesome ingredients with little sugar. But creamy with big flavor. And the crust… Well. Here you go. Simple and perfect for spring, this Lemon Tart recipe uses fresh and wholesome ingredients with little sugar. Lemons always pair well with rosemary. Preheat oven to 350F. Lightly butter a 9-inch tart pan and set aside. Place the flour, sugar, rosemary, and salt in the bowl of a food processor and pulse a few times. Add the butter and pulse until little pea sized bits start to form. Add in the ice water, starting with just 1 tablespoon. Pulse a few more times, then check the dough to see if it holds together when pressed between your fingers. If not, add 2nd tablespoon. The dough may still seem crumbly, but as long a it holds together when pressed, it will be perfect. Dump the dough out into the prepared tart pan. Starting from the center, work your way out to the sides by pressing the dough firmly into the pan. Make sure you press it up along the sides evenly. Pierce the bottom with a fork a few times and place in the oven to bake for about 12 minutes. Cool on a wire rack for at least 5 minutes before filling. Meanwhile prepare the filling. Place the yogurt and sugar in a bowl and whisk until thoroughly combined. Whisk in the eggs, one at a time, then add the lemon juice and zest. Whisk until smooth and everything is evenly combined. Pour the filling into the crust and bake in the oven for 23-28 minutes or until the center is set and only slightly jiggles when shaken lightly. Allow to cool completely then place in the fridge to chill for at least 1 hour before serving. Tart can be made the day before and kept covered and chilled in the fridge. Serve with fresh whipped cream if you’d like your tart a bit sweeter. Recipe adapted from Sacramento Street. Looks amazing! I too love rosemary and lemon together.